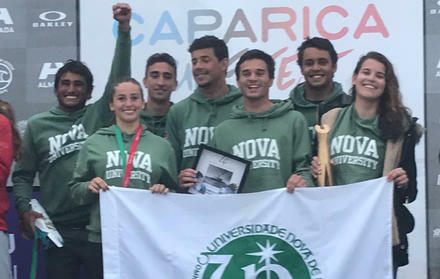 The Surfing team of the NOVA University of Lisbon won a brilliant 2nd place last 3rd February in the National University Championship that took place in Faro. 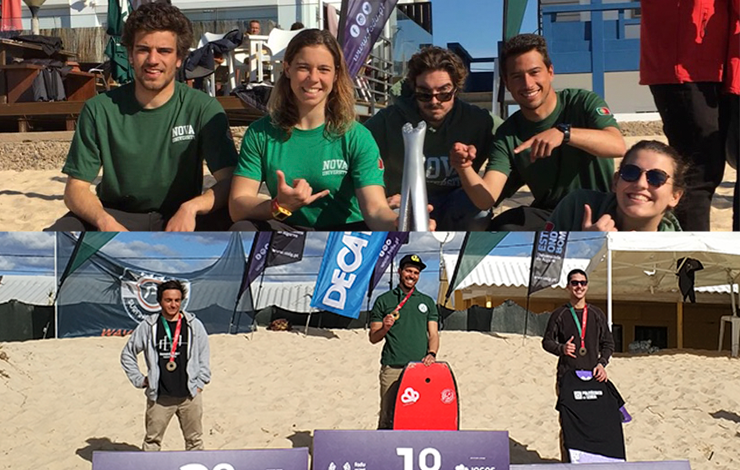 NOVA was also represented at the Bodyboard National University Championship by two students, Pedro Levi and António Ribeiro. This event was held on 4 and 5 February in Faro with about 45 participants from all Portuguese Higher Education Institutions. The conditions of the sea were not the best, but even so, the championship was held. After several representations of our University in the National University Championships of this modality Pedro Levi conquered the title of Bodyboard National Champion of 2017/2018.